Your browser does not support script. Sorry, no navigation. The EST-9600 is a serial server that allows multi-drop devices to use Ethernet LANs, unencrypted or with 128-bit AES encryption. The EST-9600 connects any HDLC based synchronous protocol serial device through a LAN and between LANs via routers. The EST-9600 is designed specifically to support synchronous polling protocols that are HDLC based. These protocols include SDLC, BDLC, X.25, Frame Relay, synchronous PPP protocol, etc. These protocols are often error corrected, and the EST-9600 allows these protocols to work through routed local and wide area LANs. 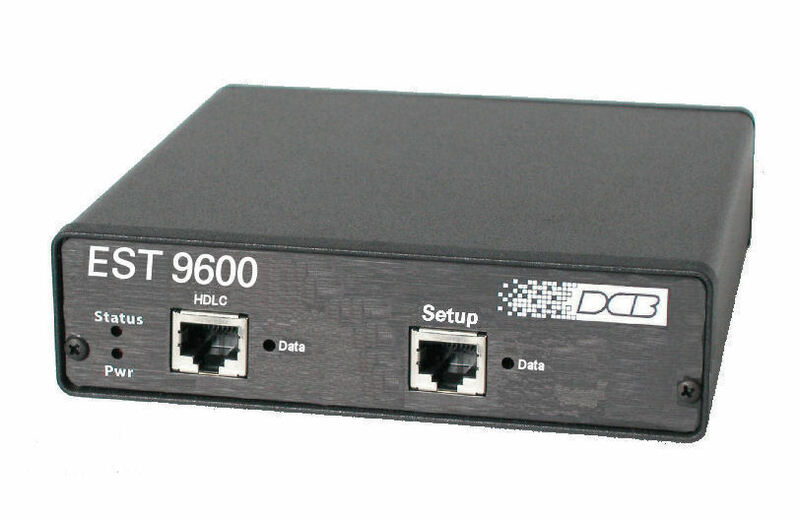 The EST-9600 uses UDP protocol to deliver the HDLC traffic, allowing the necessary data connection over a local LAN and across bridged or routed networks. The EST-9600 functions independently of the device protocol, allowing HDLC protocols to be carried with no configuration changes. An EST-9600 host authenticates with remote drop EST-9600s to allow serial synchronous HDLC data connections. Remote drop EST-9600s can authenticate with both a primary host and a backup host. This feature makes it easy to have redundant host sites that will always receive the same poll responses as the master host site. If the objective is to have a backup host site or have a second site that always monitors the RTU responses, the EST-9600 makes it simple and easy to accomplish. 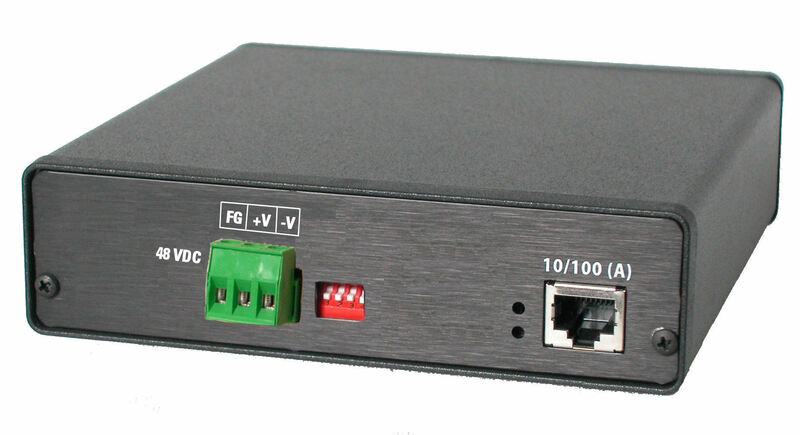 The EST-9600 supports RS232 serial interface speeds up to 230 Kbps, RS530 speeds up to 2.048 Mbps. To deliver HDLC traffic via Ethernet in as close to the nature of HDLC as possible, the EST-9600 uses UDP/IP “best-effort”, speedy delivery, rather the delay and extra overhead that TCP/IP error-correction and flow control could cause. Up to 20 drop EST-9600s may be used with each host EST-9600. The EST-9600 can be managed through its serial port, via telnet or with a web browser. Remote configuration is supported using TCP/IP (telnet) or any web browser. Security features embedded in the EST-9600 include fine-grained configuration and management controls as well as the ability to turn off remote management functions. Instead of replacing your existing host computers and terminals to migrate to Ethernet, add the EST-9600 for a fraction of the cost. 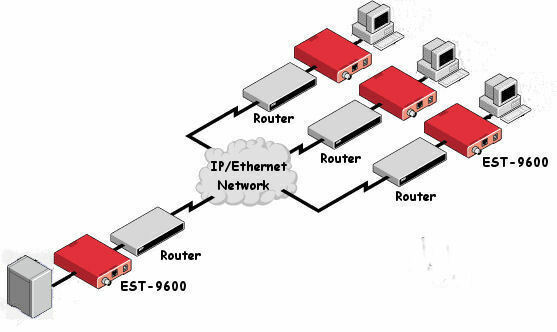 OEM manufacturers can design the EST-9600 into their products or use it as an add-on method to gain Ethernet connectivity. This is a specialty device encapsulates synchronous serial HDLC protocols for transmission over Ethernet networks. It will not operate with streaming serial protocols. HDLC protocols include SDLC, BDLC, X.25, Frame Relay, synchronous PPP protocol, etc. The EST-9600 will not operate one ended. It only operates point to point in pairs, or multi-point with one host unit connected with several remotes. If you require a single-ended sync to ethernet converter, please contact DCB to discuss other options. Authentication: internal name/password database, or up to two external, customer-supplied RADIUS servers. See DCB Rack Mount Data Sheet for high density rack mounting options. See Industrial DC Power Supply Data Sheet for 12, 24,and 48Vdc input power supply options. Applications notes are available from this web site. Click here! All DCB web pages copyright ©1995- Data Comm for Business, All rights reserved. EtherPath®, EtherSeries®, EtherPoll®, EtherBridge® and EtherModem® are Registered Trademarks of Data Comm for Business, Inc.